WHEN THE SUN IS OUT THE HARSH SUNRAYS RIP OFF YOUR HAIR OF ITS NATURAL MOISTURE AND SHINE. 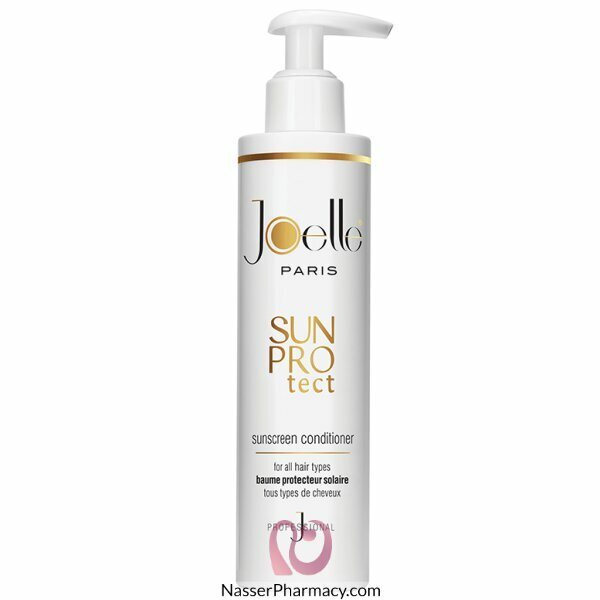 SUN PROTECT RINSE-OUT CONDITIONER BY JOELLE PARIS IS FORMULATED TO PROTECT AGAINST HARMFUL SUNRAYS AND HELP RESTORE NATURAL MOISTURE, WHILE PENETRATING ESSENTIAL NUTRIENTS THAT ADD LIFE TO YOUR HAIR. SO WHEN IT’S A FIGHT AGAINST HARMFUL SUNRAYS, STEP OUT AS A WINNER WITH ‘JOELLE PARIS SUN PROTECT’ CONDITIONER.